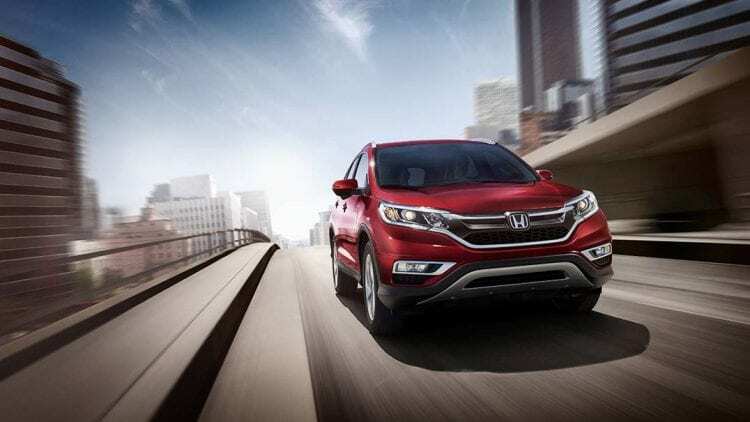 The 2018 Honda CR-V has been modified, and the new model is a synonym for efficiency, refinement, and practicality. It has been at the top of the sales list in compact SUV segment, and the new version brings a lot of innovations to the table. Let’s analyze the 2018 Honda CR-V into greater detail. Even though we are talking about the compact crossover SUV, the new CR-V looks as if some muscle elements have been added to the vehicle. Compared to its previous model it is longer, taller and wider while the FWD and AWD versions have ground clearance from 6.3 to 6.7 and between 7.8 to 8.2 inches respectively. This is great news for the people who plan to go wild with the new CR-V, which is more beautiful and more aggressive than its predecessor. The 2018 Honda CR-V is a two-row vehicle which has room for five passengers, and because of the growth in size, there is more space in the cabin, which is amazing considering that the previous model was one of the most spacious in the segment. If you want to fold the rear seats, you can do so by pulling a lever and because of a 2-tier setup in the rear cargo area, the floor can either be flat or lower in case you want to prevent things from rolling inside the trunk. Starting from the EX trim, you get rear USB ports, while the seats in the CR-V offer a lot of comfort, not only for the driver but other passengers as well. Honda offers two engine options for its 2018 crossover. The first engine is a familiar 2.4-liter I4 that can be found in the older version, but this engine can be chosen only in LX trim. The I4 unit is good for 184 horsepower and 180 lb-ft of torque, whereas according to EPA estimates, the fuel economy ratings for the FWD model are 26 mpg city and 32 mpg highway, while for the AWD model 25 mpg city and 31 mpg highway. The second engine option that is under the hood of every other CR-V is a 1.5-liter turbocharged I4 which is good for 190 horses and 179 lb-ft of torque. The fuel economy of this one is slightly better with 28 mpg city and 34 mpg highway for the FWD models and 27 mpg city and 33 mpg highway for AWD versions. Both powerplants are paired with a CVT automatic transmission, while FWD is the standard setup with AWD offered as an option. 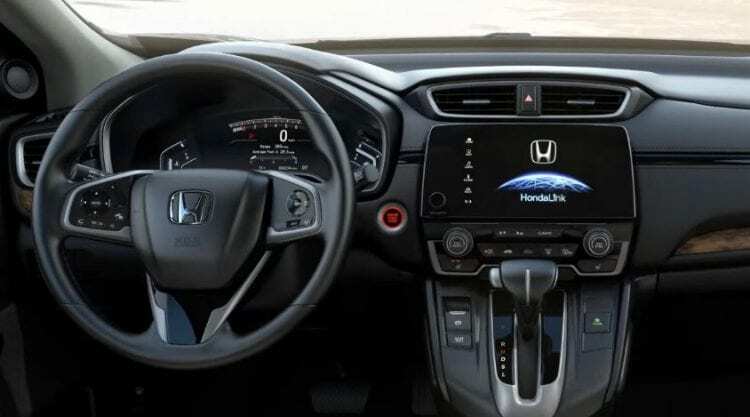 Among all of the features and equipment which can be found in the new 2018 Honda CR-V, we have selected the two most impressive – Honda Sensing Safety Suite and Interior Space. The first one is a part of the safety equipment, and Sensing Safety Suite consists of numerous features that can save your life and it is standard starting from EX trim. These additions are collision-mitigation braking, adaptive cruise control, lane-keeping assist and blind-spot monitoring. We have already said that the 2018 Honda CR-V is amazing in terms of space, but Honda is definitely the best manufacturer when it comes to adding space in small vehicles. The size of the new model has increased, resulting in 40 cubic feet of cargo space with the rear seats up or almost 76 cubic feet of space if you fold the seats flat. The rear legroom is increased to 40.4 inches, allowing the passengers in the back to enjoy the ride. Some of the standard equipment includes single-zone automatic climate control, backup camera and a 4-speaker audio system on the LX trim. The EX trim offers power driver’s seat, dual-zone climate control, push-button start, heated front seats and 7-inch-display infotainment system. The EX-L adds leather seating, and it comes with a 4-way power adjustable passenger seat and HomeLink universal garage door opener, to name a few, while the range-topping Touring has a hands-free tailgate operation LED headlights, dual chrome exhaust outlets, and a 9-speaking premium audio system. Even though Honda offers two different units for the 2018 CR-V, the difference between them is really small. The power output is similar, but the 1.5-liter unit is better when it comes to fuel efficiency. The CVT is the best option for this vehicle, and it is quite responsive while the new crossover is more dynamic in turns, but it is not the best when you put the pedal to the medal. CR-V remains comfortable commuter, and even though it has gotten bigger, it is no problem finding a parking spot in the city, whereas on the highway it is quiet and subtle. The starting price of the 2018 Honda CR-V is just above $25,000, but as you climb the ladder the price increases as well. Thus, the EX trim costs about $27,600, while the EX-L is roughly $5,000 more expensive than the base version. The top-shelf Touring starts at more than $33,000. 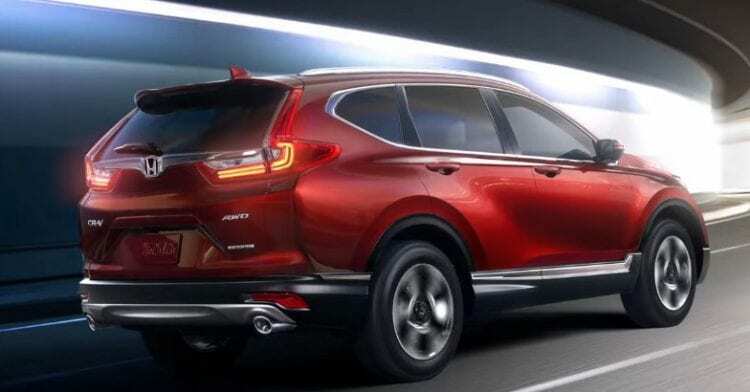 Some of the main opponents of the new CR-V are Toyota RAV4, Ford Escape, and Nissan Rogue and you cannot go wrong if you pick the 2018 Honda CR-V.
2018 Honda CR-V – rumors and spy-photos are here! Prepare for launch! 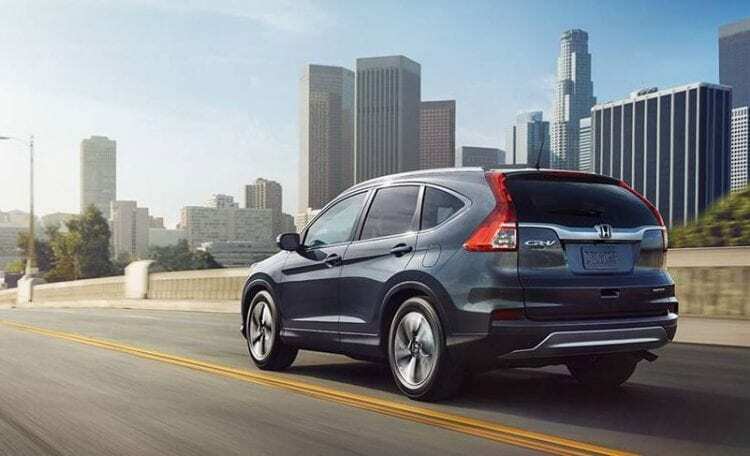 With the average lifespan of a car being around five to six years, the current Honda CR-V is rapidly approaching its end of the line. 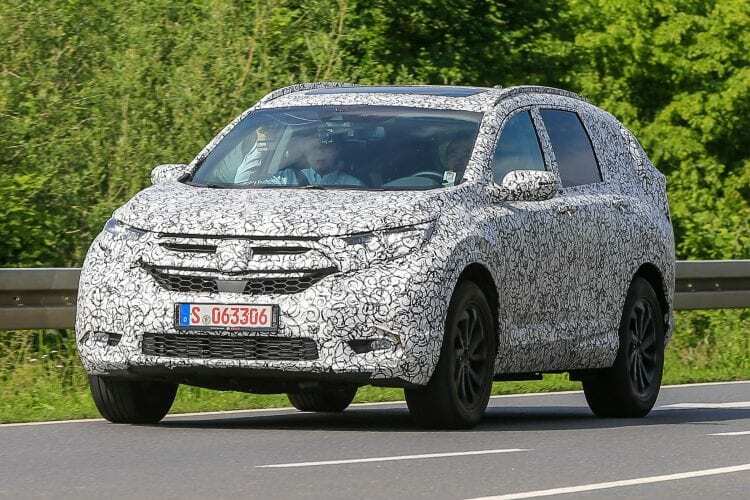 A new model has been rumored for quite some time, and it seems it might be released with the Honda CR-V 2018 model. So the far company hasn’t said a word about this upcoming vehicle, but rumors suggest it will be their first crossover to be based on the new modular platform. On top of that, thanks to the introduction of the Honda HR-V, the new CR-V is expected to be larger and more expensive than before. This is both good, as it will give people more space, and bad, as it will cost more for the high-end versions of the car. Read also: 2017 Honda CR-V article! The new platform the car is going to use is expected to be the same as in the new Civic. This is a highly modular structure which uses aluminum and steel to create a more rigid yet lighter platform than before. In fact, the upcoming CR-V is expected to be with up to 30% to 60% more of structural rigidity. This will allow it to have improved noise, vibration and harshness levels and also to be a lot better to drive. So far the car felt like a Civic on stilts, but it seems that Honda is trying to change that. In fact, the new model is expected to drive more like a premium crossover and to offer far more luxury. One of the most interesting things about the upcoming 2018 Honda CR-V that has been rumored is that it will have two different versions. A five-seat model is still expected to cost right around $25,000 which is where the current model is. However, a seven seats version in base trim could be more expensive which is quite logical. This one should make use of a slightly longer wheelbase when compared to the regular model, and it should cost closer to $30,000. While the extra two seats are always nice, the larger price will get the CR-V in the same class with far greater and more powerful vehicles. 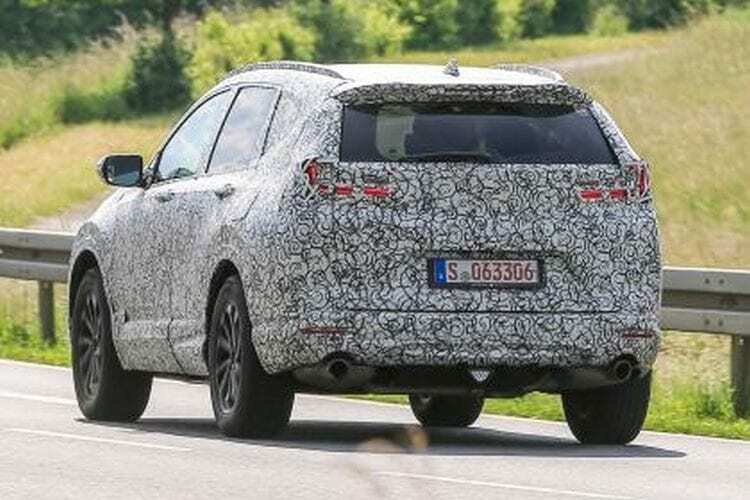 Not that long ago a car has been spied test wearing heavy camouflage and from what the photographers said, it seems this might be the upcoming Honda CR-V. 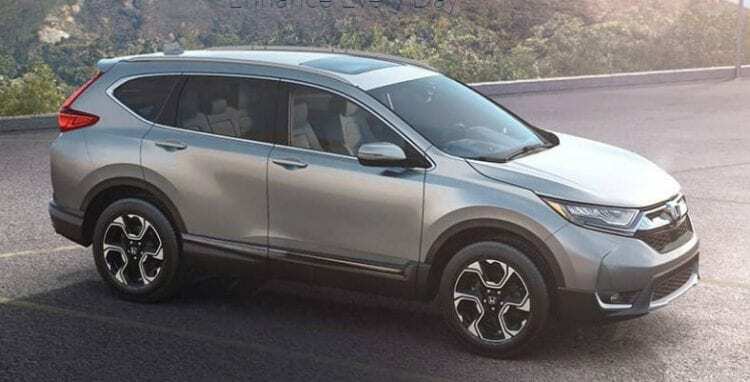 However, the car’s proportions look a lot more like a model from Acura, which perfectly fits Honda’s desire of a larger car and clearly show in which direction CR-V development is going. The new vehicle will be wider, taller and longer than before. Also, its looks will change dramatically to the point where the CR-V will become a true premium crossover. This design change will also happen inside the cabin. While the materials might still be in accordance with its price scheme, the CR-V should offer more room and quite a nicer driving position than before. We weren’t astonished by the comfort level that currently available model provided, but it was a decent option even if you wanted a vehicle with nice and long features list. Read article about 2017 Honda Odyssey rumors! Even though the 2018 Honda CR-V is expected to be improved in pretty much all segments, it will have a hard time dealing with its more powerful competitors. To alleviate this problem, we think Honda’s going to take the same route as its competitors; turbocharging. We expect the base five-seat version of the car to use a new 1.5-liter turbocharged inline four units. With around 180 horsepower and the same amount of torque, the car should be as fast as the previous 2.4-liter model while being quite a bit more efficient. There are no official results just yet but with few tweaks and improvements it could offer up to 25% higher fuel efficiency. As an option or likely standard for the seven-seat model, a 2.0-liter turbocharged mill is also expected. This should easily provide closer to 270 horsepower and 280 lb-ft of torque which should allow it to compete with V6-powered cars. There is still no word on the transmission. However, rumors suggest that a nine-speed automatic as an option while a CVT might be offered as standard on the base five-seat model of the car. Till we wait for the confirmation of 2018 model take a look at the previous one, 2016 Honda CR-V.
More info about Honda CR-V at Wikipedia.org.